Thank you for visiting us online as we grow an online presence. As we promote Lockwood, we also have many resources that enhance the Billings and surrounding Yellowstone County area and intend to promote Lockwood Businesses, Services and Products. From the Lockwood community to school and state park, Lockwood has a bright future ahead. We invite you to browse what Lockwood can provide to locals and residents of Billings. In the spirit of active businesses in and around the Lockwood community area and in conjunction with local activities; we welcome you to this website and hope it serves many functions in promoting the rich heritage, history and current activities within the Lockwood Montana area. We would like to publicly thank all the businesses and individuals who continue to show their support and confidence in this website and community of Lockwood. Please feel free to link to this website www.lockwoodmontana.com as a source for information. This website continues to be an ongoing effort and we hope to make it an asset to the local community. Check out the Classifieds Section, courtesy of the Yellowstone County News. Are you in touch with what is going on and in the know? Stay in touch weekly with the most in-depth current local community, county, school and news information with the Yellowstone County News. As YCN covers news from Billings to Custer, we cover Yellowstone County Commissioners meetings that affect you to Lockwood, Shepherd, Huntley Project, and Custer news. Local school board meetings, sports, and community happenings are on our radar. 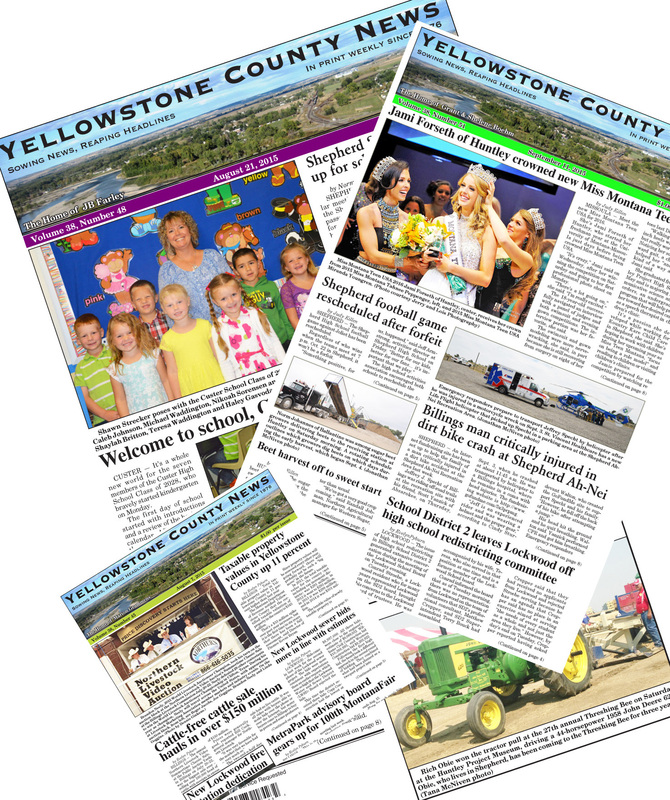 52 issues of the weekly Yellowstone County News Newspaper will be in your mailbox ($34 for a year subscription), which is where the leadership of Yellowstone County get their information. Detailed and up-to-date! Call Yellowstone County News today at 406-348-2650 today with credit card in hand to subscribe or visit their website at www.yellowstonecountynews.com or webpage here. We would like to welcome the new businesses on the www.LockwoodMontana.com community website. Please let them know you saw thier information on the Lockwood Community website. They are: Lockwood Pedestrian & Safety District, Superior Construction , Garys Water Well Drilling Inc, Terry Pollert-Realtor, Big Sky Steel & Salvage, Verizon-Cellular Plus, Town Pump, Aspen Air Corp, Metra RV, Farstad Oil Inc (Coming soon), Lockwood Irrigation District , Lockwood Water & Sewer , Weave Management, Bretz RV & Marine, 2nd Shift Bar & Casino , Pacific Steel & Recycling (Coming Soon), Whalen Tire, Johnson Lane Materials, V1 Propane, Montana Peterbilt, Big Sky EDA, Lockwood Chiropractic Health Center ,Solar E Clips Salon , Marla & Patti’s Cafe , Lockwood IGA,Dominos Pizza, The Truck Shop, Oscars Bar & Casino, CC Insulation & Urethane, United Rentals, G & J Enterprises, S Bar S Building Center, Cathedral Homes, Diesel Xtreme, Blue Body & Paint, Lockwood School, Senator Taylor Brown, Loveland Products, Bolerjack & Sons, K R Rauch Company, Flyin Lube & Wash, Ducks Painting Shop, Treasured Times Quilting & Gifts, Bobcat of Big Sky, Kids World Learning Center, Frosty Erben’s Home Selling Team, Lockwood Fire District, Western Romance Company,. If your business is not up here, please give us a call at 406-672-5941 and we will get you included. For those that are on facebook, the Lockwood Montana online group was launched to help connect alumni, students, teachers, parents, locals, residents, neighbors, and anyone else who might be interested in events, activities and news from the Lockwood area. In conjunction with this www.Lockwoodmontana.com website, this is another opportunity for everyone to get connected online. Feel free to invite your friends, family and relatives to the new group. As this organization is for all, it will be used as a resource for information to those online. Feel free to view the Lockwood Facebook Group here. We’ve reached 764 already and counting!! Let’s reach our next goal of 1,000 or more connected up on facebook! It’s amazing where we started for a goal of 50 peope connected, then 100, 200, then 500. Now we are on our way for 1,000. Keep on inviting your friends, family and neighbors or those who have some kind of connection to Lockwood to the Lockwood Facebook Group!!! If you are looking to stay connected through out the state of Montana, then check out www.MontanasTrailhead.com for Montana News, Reviews and Satire Humor From the Big Sky Country. MontanasTrailhead.com is also looking for individuals in other towns and cities who would like to write about their own towns in Montana. 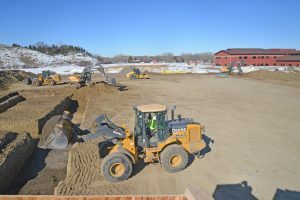 LockwoodMontana.com provides resources for those coming to the Lockwood area. Our local Montana communities stem from farms and ranches, local businesses and events that are brought to past during the year whether it be the school, state sponsored departments, or any natural features of the land from Sacrifice Cliffs, Pictograph Caves State Park, to the Lockwood School and in between. The Lockwood Montana area is rich with history, culture, gatherings of homesteaders and more. As a central point of reference, Lockwoodmontana.com would like to focus on the many companies and businesses that offer their services to locals, visitors, and tourists as resources, references, and allow locals and visitors the endless possibilities presented in the State of Montana especially in the Lockwood area. Whether it be from direct tourism, tourists, or visitors coming from out-of-state for events, leisure travel or business, or those just traveling from Billings. Lockwood presents many surprising elements of the West that can be experienced as well as enjoyed from the peaks of the Rocky Mountains to the valleys and streams below. Please give us your feedback and recommendations on how to make this website a success for the Lockwood area.